Also, when I began this comic way back when, I said to myself, "you know, one of these days I'm going to make a pun on Latin medical terminology." ...Unfortunately, the prefix "hemo-" comes from Greek. Dammit! Given my fear of medical things, I find this terrifying. 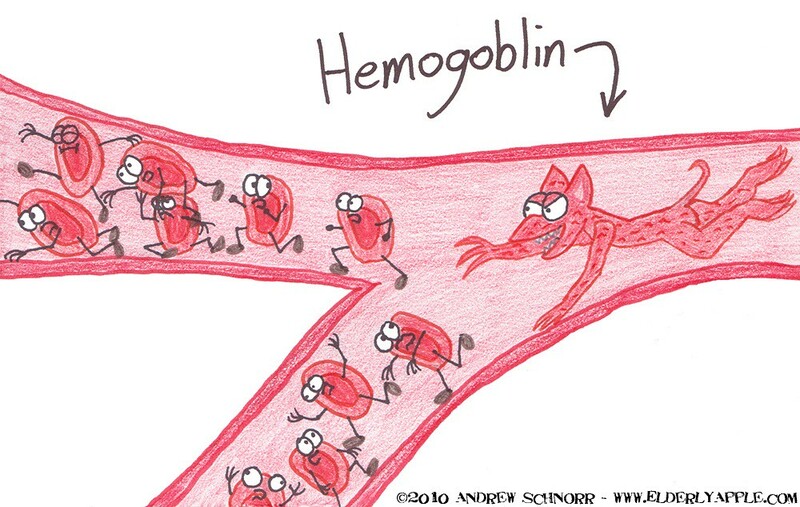 I can see the little red blood cells saying Watch out, no clumping, if we start sticking together the hemogoblin will cause us to stroke out and then we'll be done for". and i love every tiny little face of terror!